What? 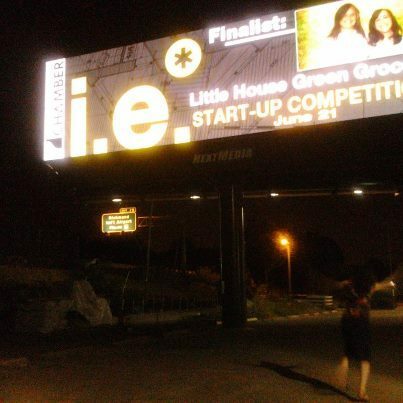 Little House On a Billboard?!! On June 21st, Little House competed in the i.e. start up competitionbefore a large audience at the Richmond Center Stage. We took part in the competition in order to raise funds for our start up costs, because …wooooo, we have a lot of refrigeration equipment to buy! And thanks to your votes, Little House made it to the final round! The next night was the competition event, and we got to talk about Little House before a large audience in a beautiful theater, and that was wonderful. Although we did not win the competition, we met the great people behind other new Richmond companies including Shockoe Denim, and the Artisan Café. What a night! Thanks to all of you who voted for us, and thanks to i.e for the experience. Now, we are back to work on getting Little House Green Grocery open for y’all… stay tuned!